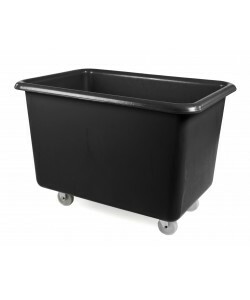 Fletcher European Containers manufacture a wide range of food grade and recycled plastic mobile container trucks, plastic trucks, plastic container trucks and mobile plastic bins, tubs and tanks. 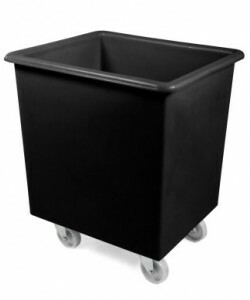 Helping to provide a storage and handling solution for general industry, waste and recycling, textiles, retail, clothing manufacturing, engineering and distribution industries to name a few, our plastic mobile containers on wheels, with or without a lid, can be seen in use for many applications. 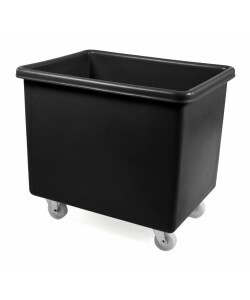 Providing alternatives to our food grade plastic mobile container trucks, we also produce a range of Eco recycled plastic mobile bins that not only exhibit all of the structural strengths and attributes of their food grade equivalents, but help to reduce intital costs. 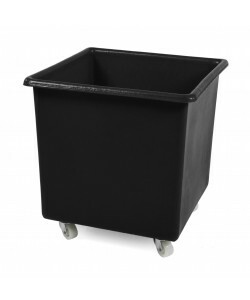 Providing cost effective alternatives to their food grade equivalents our Eco recycled plastic mobile bins and containers are available in black as standard. 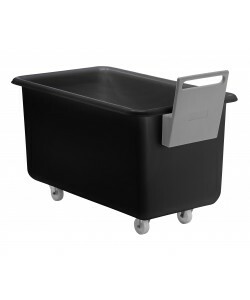 Other colours available include blue, green and red. 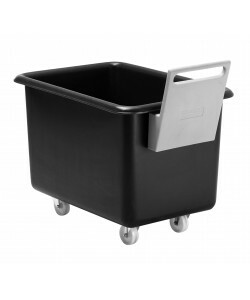 With Eco mobile container trucks available in capacities including, 135 litres, 200 litres, 320 litres and a massive 455 litres you are sure to find a plastic mobile container that suits your intended application. 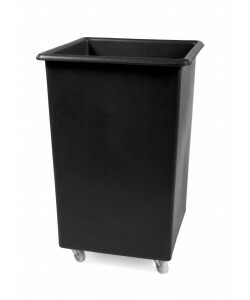 Produced via a rotational moulding process these recycled plastic mobile bins are proven to be incredibly strong and easy to clean and maintain. 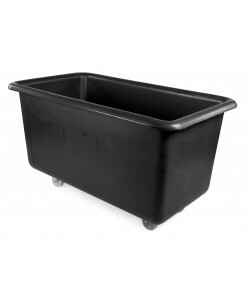 The plastic tank itself is comprised of a single one-piece moulding that is seamless and watertight. 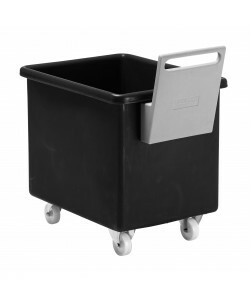 Not suitable for food contact applications, these recycled moble container trucks lend themselves well to a host of other applications such as waste handling, recycling, laundry, stock collection and sorting among an almost endless list of possibilites. 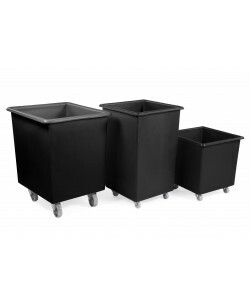 Equipped to handle heavier loads, the Eco plastic mobile containers rotoXM70ECO and the rotoXM100ECO have integral baseboards to increase the overall strength and integrity of the recycled plastic mobile bins. 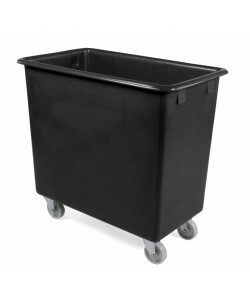 All of the sizes of recycled plastic mobile containers have the ability to be nested inside each other, creating a more compact means of storage when not in use.